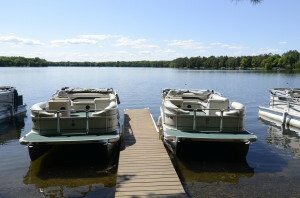 We have 2 pontoons available for rent for RESORT GUESTS ONLY. The rates range from $200.00 to $250.00. 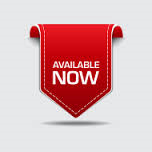 You can book them online by clicking on the Reservation Request button or by calling us at 715-462-4006. They are on a first-com, first-serve basis. Upon arrival you will complete paperwork and pay at the office, at beginning of rental time you will proceed to the motel where you will pick-up the keys. At the end of your rental term you will review the boat with our motel caretaker, any issues or damages will be handled at the Resort Office prior to your departure. Stayed for several nights at the Grand Pines Motel in Hayward. Our rooms were very nice and the staff very friendly. A very peaceful setting and a great value. Our rooms were larger than most motel rooms and the bathrooms were clean and well stocked. There is a large community room that is available during lobby hours. The view of Little Round lake from the deck is wonderful. The motel rooms at Grand Pines are beautiful! We enjoyed a clean, cozy room at a great price. I also have to say the bathtub was BIG with jets! It was lovely to relax in. The staff were friendly and helpful. We also enjoyed a nice dinner at The Ranch restaurant. I planned a weekend away for Grandpa and Grandson and they had a BLAST. The folks who run and operate the resort were beyond accommodating to help make everything perfect. They set them up with a Wheeler ice house, found the right spots and got everything ready. They stayed in the motel rooms and loved them as well. They said the newly remodeled rooms were just beautifully done in a cabin theme. You couldn’t find a better priced weekend with wonderful people…..and did I mention how many FISH they caught! Crappies that were OVER a foot!! We can’t wait to go back in the summer and try one of the cabins. Send us a message, ask questions or check availability - all right here!